3D rendering software takes user-created 3D models and places them into fully-realized 3D environments or images. With 3D rendering programs, graphic designers and media developers can insert disparate objects and characters, imported from 3D modeling programs, into a graphically appropriate settling. These 3D rendered images are often scalable, navigable, and interactive. 3D rendering software may include some animation tools or integrate with animation software to bring scenes to life, for later use in video games, movies, television shows, or other media. These programs can also have features such as lighting and texturing, which can add depth and realism to scenes. Visual artists in entertainment, automotive, architecture, advertising, and web design industries utilize these tools to create lifelike scenes for use in media or client engagement purposes. 3D Rendering reviews by real, verified users. Find unbiased ratings on user satisfaction, features, and price based on the most reviews available anywhere. 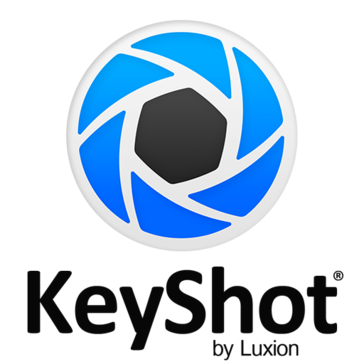 KeyShot is real-time ray-tracing and global illumination program used to create 3D renderings, animations and interactive visuals. With the CPU-based architecture, photo realistic real-time rendering can be achieved even on simple laptops without the need for special graphics cards. It supports import for the greatest number of 3D file formats out of any rendering software, importing over 20 different file types, has an incredibly simple user interface with drag-n-drop material and environment presets, interactive labeling, texture mapping, physical lighting, animation and much more. Lumion is Architectural Software. Make an image, a video or a 360 panorama, which you can view with VR glasses. Render ultra fast. Make changes all the time. Upload a 3D design (made with Revit, SketchUp Rhino, Archicad or many other 3D modelling programs) and upload your design into Lumion. Lumion includes a large library with beautiful materials and objects. Dress up your model with sky, grass, glass, materials, people, lighting, furniture, cars etc. and add effects. Feel the space. It's easy to learn. This render engine is the fastest in the world. With Lumion anyone can make beautiful renders. ZBrush is a digital sculpting and painting program that has revolutionized the 3D industry with its powerful features and intuitive workflows. Built within an elegant interface, ZBrush offers the world’s most advanced tools for today’s digital artists. With an arsenal of features that have been developed with usability in mind, ZBrush creates a user experience that feels incredibly natural while simultaneously inspiring the artist within. With the ability to sculpt up to a billion polygons, ZBrush allows you to create limited only by your imagination. Designed around a principle of circularity, the menus in ZBrush work together in a non-linear and mode-free method. ZBrush gives you all of the tools needed to quickly sketch out a 2D or 3D concept and then take that idea all the way to completion. You can create realistic renders directly in ZBrush with lighting and atmospheric effects. With the many powerful export options, you can easily prepare your model for 3D printing or use within any other digital application. Because ZBrush users are enabled by its powerful software processing, you can sculpt and paint with millions of polygons without having to worry about purchasing expensive graphics cards. It is for this reason why ZBrush is used by everyone from art enthusiast to major film and games studios. Leave technical hurdles and steep learning curves behind, as you sculpt and paint with familiar brushes and tools. Substance Designer is a node-based non-destructive application for creating materials. Edit complete texture sets fast with the non-linear workflow and see your changes apply simultaneously to all your outputs. Unleash the power of Substance Designer and focus on what really matters: your art. Marmoset Toolbag is a powerful yet tidy GPU-powered real-time rendering, animation, and texture baking suite - essential tools for your 3D art production workflow. Assemble your art leveraging physically-accurate lighting and materials, streamline your production pipeline with Toolbag's custom shader and Python scripting support, and export your scenes to Marmoset Viewer for industry-leading rendering quality in interactive, real-time 3D on the web. Thea Render is a physically-based global illumination renderer of high quality. It is a unique renderer that is able to render using state-of-the-art techniques in biased photorealistic, unbiased and GPU modes. Thea Render comes with its own standalone application (Studio) with various tools, material editor and advanced staging operations along with integration (plugins) on various popular modeling solutions. MODO® is your starting point for creative exploration. Whether you’re creating addictive real-time experiences, innovative product designs, compelling advertising images, or engaging film and video content, MODO’s artist-friendly tools let you iterate freely to realize your ideas’ full creative potential. 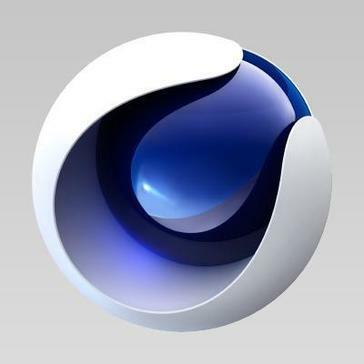 SideFX develops Houdini, a 3D animation and visual effects software for use in film, commercials and video games. Arnold is a fast, memory efficient and scalable physically-based raytracer. Persistence of Vision Raytracer is a free Software tool for creating stunning three-dimensional graphics. The source code is available for those wanting to do their own ports. Render[in] 3 gives SketchUp users the high-definition, photorealistic renderings they've been looking for, in a robust, easy-to-use application. appleseed is a modern renderer designed to produce photorealistic images, animations and visual effects. Direct3D is a low-level graphics API that enables you to manipulate visual models of 3D objects and take advantage of hardware acceleration such as video graphics cards. iClone is an instant 3D visualization and digital storytelling with unique real-time animation engine that accelerate your production speed by rendering everything you see instantly, without the wait. Indigo Renderer is a physically based and photorealistic renderer which simulates the physics of light to achieve near-perfect image realism. NVIDIA IRAY is physically based rendering technology that generates photorealistic imagery by simulating the physical behavior of light and materials. mental ray is a feature rich, high performance 3D rendering software that creates images of outstanding quality and unsurpassed realism based on advanced ray tracing techniques. OctaneRender uses the graphics card in your computer to render photo-realistic images super fast. RenderMan is a high performance renderer built to tackle the most complicated 3D imaginable. Twinmotion is a real-time visualization software changing the way architects and designers interact with their models. WebGL is a cross platform, web standard for low level 3D graphics that brings plugin-free 3d to the web, implemented into the browser. Whether you're looking to create whole three di­men­sional worlds or have a two di­men­sional project in mind, Hash Animation:Master is the 3D soft­ware you need to design and render amazing imagery and animation... from the comfort of your kitchen table! form·Z's ability to combine solid and surface modeling has made it a favorite in multiple design fields that engage in the articulation of 3D forms and spaces. Available for the Mac and Windows, it adds interoperability between the two platforms as it allows users to open their files on either one. FurryBall is an extremely fast rendering system using the processing power of your GPU instead of your CPU. FurryBall offers UNBIASED Monte Carlo raytracing (path trace - similar like CPU Arnold renderer), with real-time progressive preview in the viewport. Final frame rendering to multiple file format, layers and passes are obvious. FurryBall was developed for purposes of CGI animated movies, VFX and feature movie rendering. FurryBall RT is extra simple and easy to use for an artist - you can tune whole image quality with only a single parameter if you want. GPU rendering doesn't load you CPU at all - much faster work on your system during rendering. FurryBall RT can be used also like GPU preview render for Arnold render, because it supports Arnold standard material too - almost all parameters are supported. Try those samples. Each license comes with ALL THREE plugins (Maya, Cinema 4D, and 3DS Max) with very unique and smooth collaboration between them. FurryBall fully supports an unlimited number of GPU in a single computer and also can be used like standalone renderer. LumenRT offers combination of tools to rapidly create photographic images and ultra-high definition videos of your projects. LuxRender simulates the flow of light according to physical equations that produced realistic images of photographic quality. Why Use 3D Rendering Software? Who Uses 3D Rendering Software? 3D rendering software takes a previously created 3D model and seamlessly places it into a fully realized 3D environment or image. Using these solutions, graphic designers and media developers can take contrasting characters and objects, which are typically imported from 3D modeling software solutions, and place them into an environment that is graphically appropriate. A user can typically scale, navigate, and interact with a 3D-rendered image. Some 3D rendering software solutions may include, or integrate with, animation software so animators can bring their scenes to life. 3D rendering software solutions include features like lighting and texturing so a user can add depth to their scenes and make them as realistic as possible. Visual artists in industries such as entertainment, automotive, architecture, advertising, and web design can use 3D rendering software solutions to create lifelike scenes for client engagement purposes or to create new types of media. Improved visual communication — The best way to describe your design at every stage of the process, whether to clients or colleagues, is to show them. 3D rendering tools give those audiences a clear picture of your vision, along with a good idea of what the finished product will eventually look like. Precision and accuracy — 3D rendering software solutions offer users complete control over their designs. These tools typically integrate with CAD solutions and can store necessary images from your project. Data from these solutions can provide information like the distance between two points on your model. So thanks to those integrations, users can have access to precise measurements as they design. Easily visualize changes — Your 3D model will likely go through many changes throughout the design process. Your changes can easily be made with 3D rendering solutions. This software captures all the data about spaces and structures. That means you will never need to start from scratch on your design, as you would need to if you were using digital photographs. Animation — The vast majority of animation these days is 3D instead of 2D. Animators can start off by creating a 3D model and then upload that model into a 3D rendering platform. 3D rendering software solutions will let animators put their static 3D models into motion. Some animation software comes equipped with 3D rendering capabilities, but many will integrate with 3D rendering solutions. Architecture — 3D rendering tools can also be used in the design process for objects that aren’t intended to move. Users begin by creating a model of their building in CAD or 3D modeling platforms. They subsequently upload those models into 3D rendering tools. Those solutions capture building data from CAD or 3D modeling platforms. So that way, architects can have that information at hand and design and manipulate their building model from any angle. Advertising — Advertising professionals can use 3D rendering software for similar purposes that animators do. 3D rendering tools enable users to create more interactive media. This allows for advertisers to create more engaging advertisements for their audience. Render setup — A 3D rendering solution should allow you to generate templates to quickly render a complex scene so they can easily be reused in the future. Surface modeling — These tools enable users to continue to work on their 3D models once they have been imported into the 3D rendering solution. You can modify, align, and digitally transform the geometry of your objects. Animation tools — 3D rendering solutions typically include character animation functionality. This functionality lets the user detail the surface of the model, along with perfecting its movements. Motion paths — This feature lets users preview the path animated objects will follow. You can adjust the direction of the paths and convert them to and from splines. Users can also add a curve to the object’s path if they desire. Physical camera — 3D rendering software may offer a physical camera that will integrate with your scene. This feature is ideal for users who are hoping to create photorealistic, physically based rendering. Additionally, a physical camera integration can help with exposure control. Real-time rendering — Those who use 3D rendering software on a regular basis can begin to expect real-time rendering to become more common. Users can explore their model as usual but can also modify that model in real time. Side-cut perspectives — This particular trend will be useful to individuals in industries such as architecture. The side-cut perspective will be incredibly beneficial when it comes to visualizing multi-story buildings. It cuts out the exterior wall, meaning you can see each room in one view. 3D printing — 3D rendering software allows users to visualize their design in the real world before it is actually built. 3D printers bring that visualization one step further. Users can create within the 3D rendering platform as they typically would and then print out the design using a 3D printer, allowing them to physically examine their model. 3D rendering software is massively useful to those in building and design industries. However, as with every software solution, 3D rendering tools do come with their potential disadvantages. Unrealistic expectations — Some experts in the industry argue that 3D rendering can give users unrealistic expectations for what their final product may look like. As the product often ends up looking different in real life, these tools can sometimes provide deceiving designs and confusing concepts for the client. Cost — As it is a highly advanced software, 3D rendering can allow users to create an incredibly realistic design of a building or object. But because that design is so realistic, it can often be incredibly expensive. These solutions may be out of budget for smaller businesses or individual users. 3D rendering is a very technical process. The following software categories can often be used in conjunction with 3D rendering software to create the optimal final result for designers. 3D modeling software — These solutions let users create basic 3D models of objects or characters, along with giving users the ability to flesh out those models with realistic details. 3D modeling software often comes with 3D painting functionality in order to give as much detail as possible to the 3D models. After a model is created in a 3D modeling platform, it is then typically uploaded into a 3D rendering software solution. Animation software — These tools let users generate moving graphics from static visual files. Users can animate hand-drawn or computer-generated graphics with these solutions. Some 3D rendering solutions already come equipped with animation capabilities. But for those that don’t, they tend to integrate with animation software. General-purpose CAD software — Architects, engineers, and other professionals in building-related industries use general-purpose CAD software to design buildings. This software was created with the intention of replacing 2D manual drafting. These tools represent and visualize objects using a collection of points in three dimensions on a computer. Just like with 3D modeling software, users can upload their designs to 3D rendering software so they can better visualize the final product. Hi there! Can I help you find the best 3D Rendering solutions?